The current tax regime for non-resident landlords – that is those offshore entities owning UK property – is based around them paying UK income tax on earnings from rent on their properties. However, the UK Government is now seeking to achieve equal tax treatment for both on- and offshore entities (including through the introduction of the Annual Tax on Enveloped Dwellings and the Non-resident Capital Gains Tax). The Finance Act 2016 sections 76-77 introduced legislation to bring non-resident companies dealing in or developing land into the scope of UK Corporation Tax. This will place them on a similar footing to UK companies engaging in the same trade. The Government has held a recent consultation, which closed on 9th June 2017, seeking views on how the Corporation Tax regime might apply in practice. In this article, E3 Consulting’s Managing Director Alun Oliver, and Property Taxation Surveyor Ian Barwick, consider the potential effects of this change on those currently within the non-resident landlord scheme. One of the key aspects of the consultation involved the new rules to limit a company’s interest expense and reform the Corporation Tax loss relief rules. These were first proposed in the Finance Bill 2017, but subsequently dropped prior to the General Election. UK Groups with net interest expense of £2m or more will normally be restricted to relief at 30% of Earnings before Interest, Tax, Depreciation and Amortisation (EBITDA). These proposed changes are expected to hit any groups with £50m of outstanding debt, which given that the property sector is often highly geared, are likely to have a significant impact. The current status of the restrictions is still unclear, however they are expected to be included in the next Finance Bill, with possible retroactive effect from 1st April 2017. 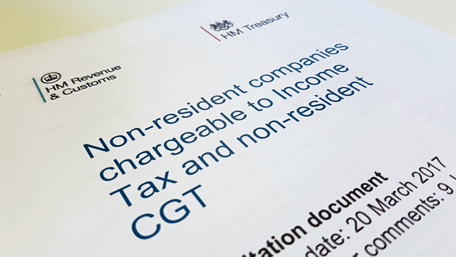 Under the proposed changes, the tax rules applicable to UK Groups would apply equally to those companies with no UK base under the Non-Resident Landlord scheme. The Government’s current position is that these rules would apply in full to non-resident landlords as soon as they make the switch to Corporation Tax, subject to the responses to the recent consultation. However, the implication of these rules might raise issues for Non-Resident Landlords expecting to use loss relief and interest deductions to extinguish taxable profits. Optimising other tax reliefs, such as capital allowances on property expenditure, will undoubtedly become even more important as the other tax reliefs are more restricted. Perhaps the most obvious change resulting from the switch from Income to Corporation Tax will be the reduction in the headline tax rate, which currently sits at 20% for Income Tax and 19% for Corporation Tax, with the latter expected to fall to 17% from 1st April 2020. This is likely to result in lower tax liabilities for the majority of the property owners making use of the Non-Resident Landlord scheme, assuming that the measures make it through to the next Finance Act without too much amendment. As the accounting period for Income Tax purposes runs to 5th April, the first accounting period for the new Corporation Tax rules is intended to begin on 6th April of the relevant financial year. However, under the Corporation Tax regime, companies will be able to select their own accounting period, something which will be used by many to align with calendar months. Care should be taken when having a short accounting period to ensure that this does not adversely impact on the quantum of Annual Investment Allowances available, and you should consult a property tax specialist where large sums are expected to be incurred during that period. It will also mean the end of the ‘congestion’ caused by the 31st January self-assessment deadlines for all non-resident landlords, for which many accountants and tax advisers will be very thankful! Another consideration is that the move from Income Tax to Corporation Tax will technically involve the deemed cessation of the UK property trade, which would normally give rise to a balancing charge or balancing allowance where there are items within a property which qualify for capital allowances. The Government has signalled their intention to avoid this, but the exact mechanism for maintaining the position is still to be determined and may require further tax planning once proposals are drafted and published. Under Corporation Tax, unlike under Income Tax, the net profits of a property business are calculated without regard to interest, which is not given as a deduction. This is likely to result in a higher nominal net profit, but this will be reduced later by deficits under the loan relationship and derivative contract regimes. Losses resulting from commercial UK property businesses in the UK under the Corporation Tax regime can be offset against other Corporation Tax profits, providing greater flexibility to those with other profits in the scope of UK Corporation Tax; for example companies also carrying on trading activities in the UK through a permanent establishment. 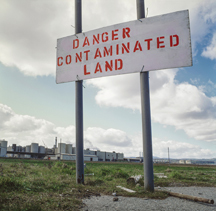 Another potentially positive consequence of the change from Income Tax to Corporation Tax is the opportunity to claim Land Remediation Tax Relief (LRTR) in respect to expenditure on remediating contaminated or derelict land in the UK. LRTR can provide valuable tax relief at up to 150% of the expenditure incurred. As this relief is not currently available against Income Tax liabilities, Non-Resident Landlords have previously been unable to claim LRTR, but bringing them within the scope of Corporation Tax will mean that this relief will become available for the first time, helping them to benefit from bringing contaminated sites back to life. If you feel that any of these issues will potentially affect you, your projects and/or your clients, or wish to discuss any other property tax matters, please contact the team at E3 Consulting on 0345 230 6450 or enquiries@e3consulting.co.uk.